Thinking of taking the family on a trip away? If the winter cold is starting to get to you, it might be time to pack up and go north. Having been up there recently at the Commonwealth Games, the Gold Coast is a great place to visit. 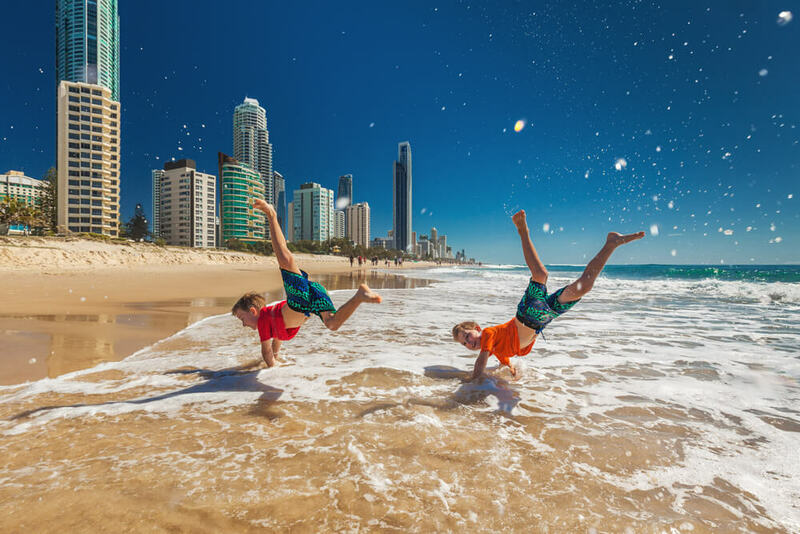 Whether it’s for a weekend or a week, all you need is some family friendly Gold Coast accommodation and enough things to do to keep the tribe entertained and you’re all set. When most people think of the Gold Coast they think of the theme parks. After all, they spend thousands of dollars every year advertising to get them stuck in your head. However, there are some great family things to do on the Gold Coast that won’t have you stepping foot near one. If you’re into fun, sport, nature or animals, there are plenty of options, so allow us to present our top picks. Ok, so this one is fairly obvious, but a trip to the Gold Coast really does need a stop at one of the beaches. Surfers Paradise is the most famous, but there’s 52 kilometres of coastline to explore. You can walk, swim, surf or just relax at one of the numerous cafés with a great ocean view. Open Saturday’s and Sunday’s from 7am to 3pm Carrara Markets hosts over 400 stalls so you’re sure to find things to look at. There is something to keep the kids entertained too with buskers, pony rides, a baby animal farm, bungy trampolines and face painters as well as a reptile kingdom show and mini golf. Nestled in Lamington National Park (about an hour from the Gold Coast) is O’Rielly’s Tree Top Walk. The walk consists of 9 suspension bridges around 15 meters above the ground. Spot birds and animals as you take a stroll through the rainforest. There is no age or height restrictions, but you will need to watch the young adventurous children. If you are into the weird or unusual, then a trip through Ripley’s Believe It or Not will be a unique adventure through galleries and interactive exhibits of the unbelievable. It takes about an hour and a half to get through everything. There is now also Ripley’s Impossible LaseRace where you can test your agility through a maze of laser beams. If you book online an adult ticket is just under $25 and kids under 4 are free! Whale season is between June and October as they move north escaping the colder Antarctic waters. 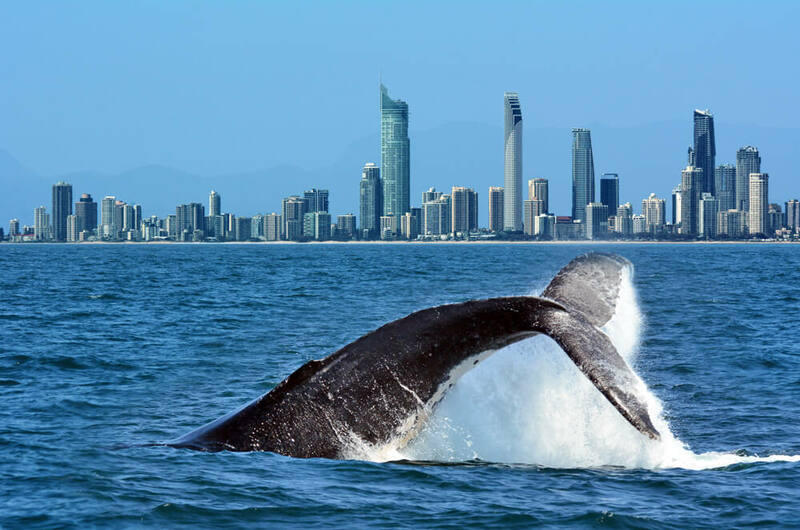 If you’ve got a great view of the ocean you can be lucky enough to see the whales from the coastline but if you want a closer look there are many whale watching cruises to be taken. 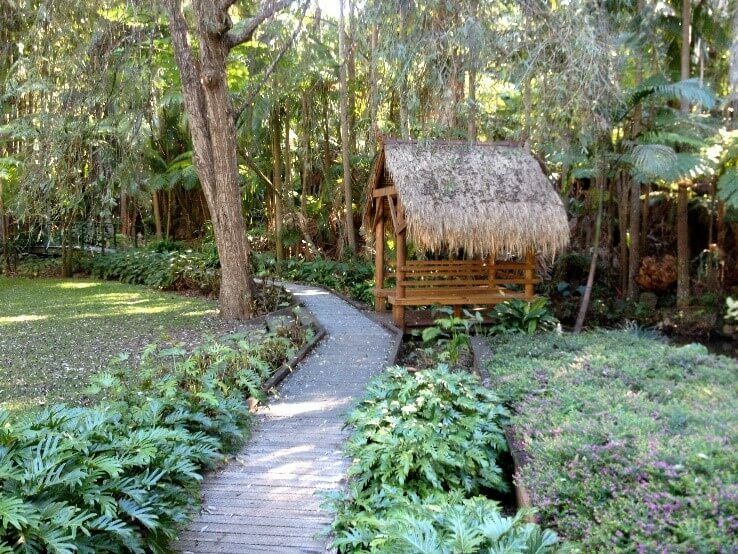 The Gold Coast Regional Botanic Gardens are set on 31 hectares of parkland and lakes. Spend some time strolling on the boardwalks, let the kids explore the playground and set up a picnic or BBQ. You can also get free guided walks and there are regular activities for the kids during school holidays. A great place to enjoy some family fun, Broadwater Parklands has multiple playgrounds including a water playground and bouncy pillow, which are all free! There’s plenty of shade for a picnic, free BBQ’s and a fish and chip shop and café if you don’t feel like preparing lunch for the family. Located 30km inland from the Gold Coast, Tamborine Mountain gives you plenty of things to do around the area. From bushwalking and waterfalls to wineries and cheese (yum) it’s a great and very pretty area to explore. There’s a rainforest skywalk, glow worm tours and waterfalls such as Cedar Creek Falls. The highest elevated point of Tamborine Mountain is 578.2 meters and you can even drive right to the top. Natural bridge is a rock formation and waterfall in Springbrook National Park. During the day you can discover the beauty of the rainforest and at night you can take a guided tour to see glow-worms and microbats – the kids will love it! If you don’t mind heights, head up to level 77 of the Q1 building in Surfers Paradise (the really really tall one), to the Skypoint Observation Deck for a 360-degree view of the Gold Coast. Being 230 meters high gives you a perfect elevated view of Surfers Paradise. If you’re feeling really adventurous you can climb on the outside of the building (climbs are pre-booked and only available for 12+ years). There is a 36 kilometre network of pathways along the coast called the Gold Coast Oceanway. It connects from The Spit in the north to Point Danger in the south. Spend some time exploring either by walking or cycling all that the coast has to offer. Whale watch, people watch, have a picnic or bbq along the way. Pick a section to travel on and enjoy the view. If you are a lover of animals than head to the Currumbin Wildlife Sanctuary. 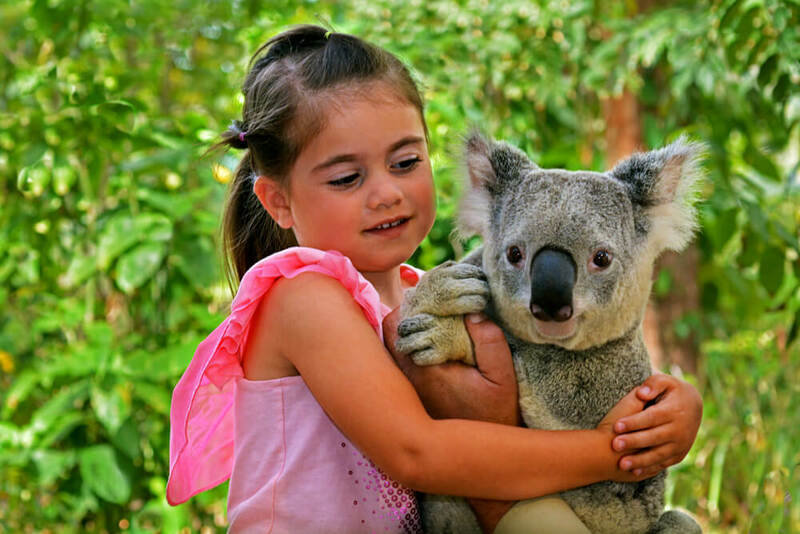 With a variety of animals, shows and experiences you can wander through the enclosures, feed kangaroos or even cuddle a koala. They even have quokka’s! If you’ve never seen them before please go, as they are one of the cutest animals in the world! While you’re in the area head to Currumbin Valley where you will find the Currumbin Rock Pools. A great place for a swim and relaxation after a morning of visiting the wildlife sanctuary. Located next to Tallebudgera Creek this wildlife park was originally created by naturalist David Fleay so that visitors could enjoy and learn about wildlife in as close to their natural environment as possible. Stroll through the park spotting different animals including Wally the platypus and enter the nocturnal house for more native animals. Don’t forget to check out Tallebudgera Creek while you’re there. Throughout the year there are many events held on the Gold Coast. Whether you’re into music, expos or the annual cat carnival, I’m sure you will find something that tickles your fancy. Check out the Gold Coast Councils list of events for what’s happening. There are quite a few amazing mini golf courses to be found on the Gold Coast, both indoor and outdoor so whatever the weather it doesn’t matter. King Tutt’s Putt Putt, Lilliputt Mini Golf, Putt Putt Mermaid Beach and Carrara Mini Golf are just some of the ones you can visit. Have a coffee or a snack and a rest and let the kids work off some energy. Abrakidazzle is the biggest indoor play centre on the Gold Coast. With a multi-level maze, jumping castle and under 2’s area, let them run wild while you take a much earned break. So, there you have it, a list of great family things to do on the Gold Coast for your next adventure and not a theme park in sight.